In order to bring this Madison, NJ deck back to life our team was called in. In only three days our team replaced the railings and floor boards, along with other exterior elements, with azek. The home’s existing pressure treated wood deck was beginning to wear out and splinter. To begin the project our team removed the deck’s existing floors and railings. Our team replaced the floor boards and railings with new azek. Azek is an excellent choice for exterior projects because it is a moisture resistant material. The deck’s existing posts were also wrapped in azek to fortify them against the elements. While on the job our team also installed azek along the deck’s apron. In only three days our team had this deck looking even better than new! Another job well done by our team at Monk’s! More Projects: deck projects Deck Gallery. 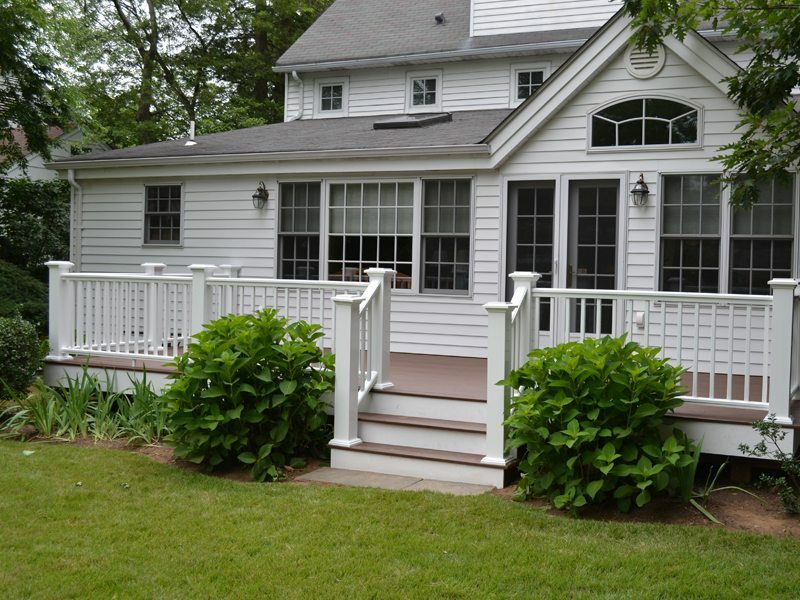 If you are considering a deck project for your home we would like the opportunity to tell you why we think we are the best deck contractor in Madison, NJ 07940.